Voters Send More Legislators Packing. Was It the Tax Vote? Empty seats on the floor of the state House chamber. It was another tough day to be an Oklahoma legislator running for reelection. Six of the 10 Republican incumbents who faced runoff challenges Tuesday were defeated and will not return when the Legislature convenes again early next year. Reps. Travis Dunlap, R-Bartlesville; George Faught, R-Muskogee; Bobby Cleveland, R-Slaughterville; Mike Ritze, R-Broken Arrow; Jeff Coody, R-Grandfield; Tess Teague, R-Choctaw, were the latest sitting lawmakers to lose their reelection challenges in the primary stages of this election cycle. They will join six other lawmakers – again all Republicans – who lost during June’s primary. This mean that even before the general election takes place, 12 lawmakers, or 8 percent of the 149-member Legislature, have already been rejected by voters. The number of ousted lawmakers represents a significant contrast to previous years, when an incumbent defeat was rare. In 2016, for example, just three incumbents lost in primary or runoff races and no incumbents were defeated in the general election. But the incumbent defeats are not altogether surprising. 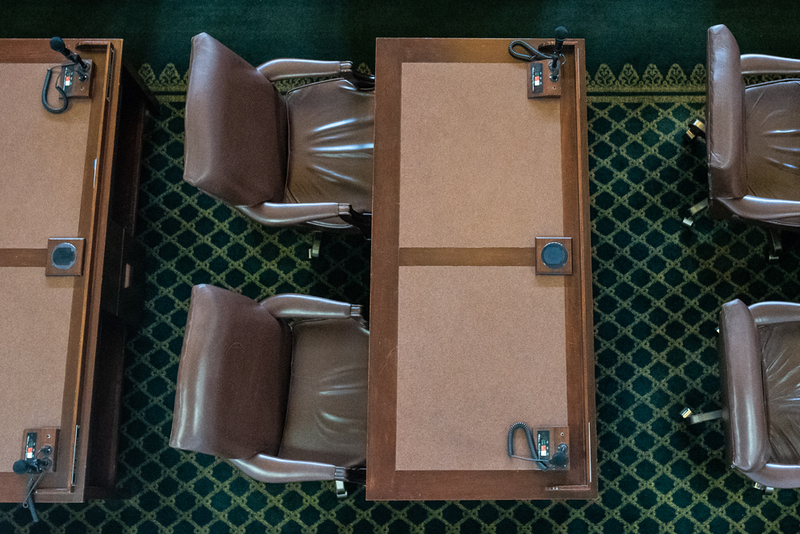 A SoonerPoll survey at the beginning of the year found that 31.2 percent of respondents had a very or somewhat favorable opinion of the Legislature, while 57 percent had a somewhat or very unfavorable opinion. Those polling results came before lawmakers fell under intense public scrutiny and criticism during this spring’s two-week teacher walkout, which brought thousands of protesters each day to the State Capitol. There are many reasons, including local district-level issues, that can determine the fate of a lawmaker’s quest for reelection. But there is one thing that most of the 12 ousted lawmakers have in common: Eight lawmakers in this group voted against the $425 million tax-raising bill, known as HB1010xx , that paid for the teacher pay package. All six of the incumbents voted out Tuesday were no votes on HB1010xx. Rep. Sean Roberts, R-Hominy, was the only incumbent who voted against that bill who successfully survived a runoff challenge on Tuesday. Meanwhile, the three other incumbents who beat their runoff opponents – Mark Lawson, R-Sapulpa; John Pfeiffer, R-Orlando; and Jadine Nollan, R-Sand Spring – voted for the tax-raising measure. The questions now are whether more incumbents will be defeated in November, including any Democrats, and whether the tax vote will play a role in the outcome. With the primary runoffs over, the general election ballot for Nov. 6 is set. Here’s a look at the candidates in Oklahoma’s federal, statewide, legislative and judicial elections – plus those who have already secured their seat.